B & B Italia side table in the manner of Antonio Citterio, with rectangular glass top and grey metal supports. 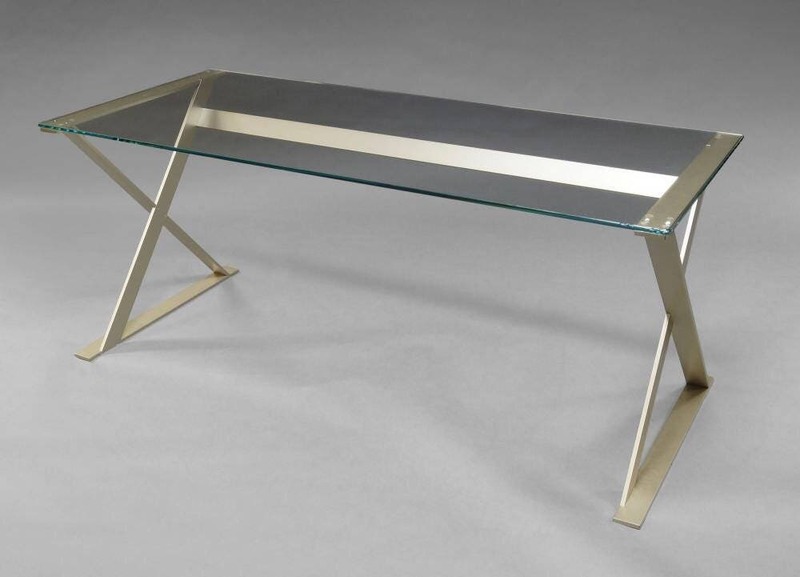 Very clever design consisting of two X frame ends, one supporting bar connecting them and one heavy glass top. The X frames are very heavy and stable. Condition is good, surface marks to frame, chip on corner of glass top.